One night lately I was really really bored and when I get really bored.... there is a high percentage I turn to online shopping. Of course I am not buying just anything but I like to browse through stores for hours and pick something up along the way (I kind of almost always find something.) I could of course devote my time to doing university stuff but there are some days when even gaming seems too much too take. 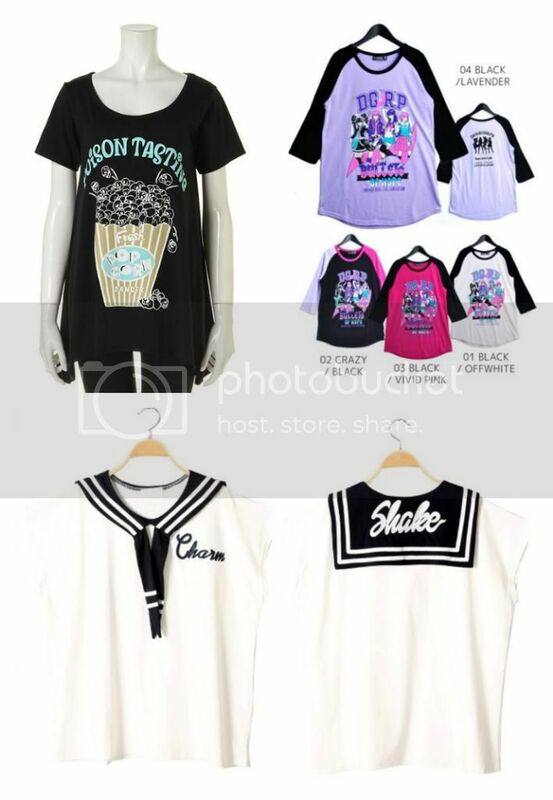 I linked you the items below; the popcorn shirt however is completely sold out at the official webstore but it is possible to get it via rakuten (where I got it, even for the sale price!) Rakuten sometimes can have huge price differences so don't be the first item you see but check if another store has the same item for a cheaper price. Recently I've been a lot into black x turquoise x light purple for no particular reason. 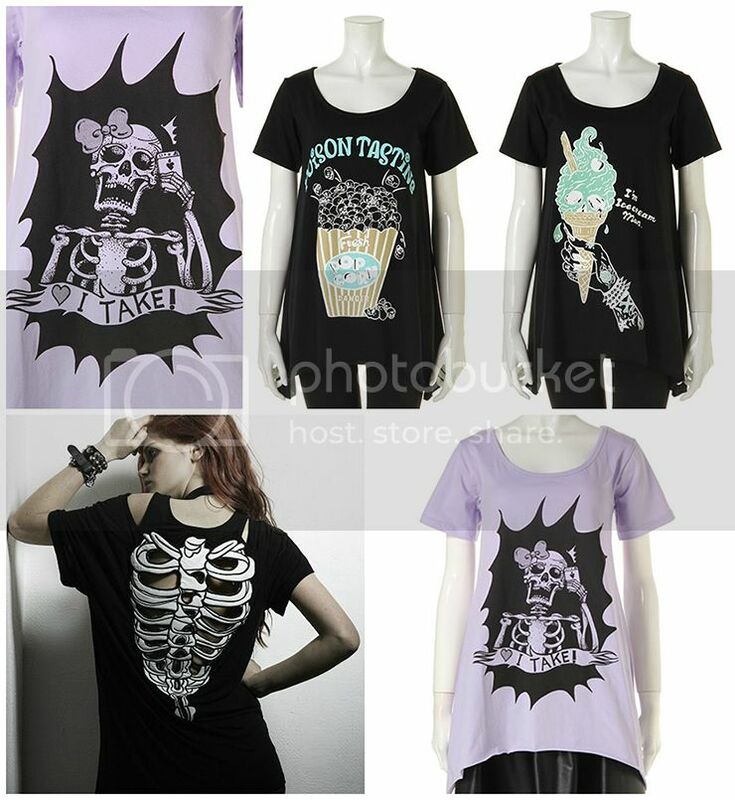 I also always liked oversize shirts especially in the heat of Japanese summer so these were perfect! I fear it's a bit too warm for the black x lavender college shirt, however I really love the print so I decided I still buy it (I usually don't buy fall/winter items in summer at all but I feared I would regret not having this in fall.) Since it's supposed to get quite cold in Seoul this won't be a buy in vain.